Dr. Cherrye Vasquez with Books That Sow Strength, Character & Diversity, DBA is an advocate against bullying. The focus of Cherrye’s books is diversity is healthy and bullying is not. The psychology that drives her writings is for children to realize that being different is healthy, important, and not to be afraid of being different. The central philosophy of her writings is that children should learn about each other’s similarities as well as differences. What she wants children to learn from one another is that being unique is healthy, beautiful, and important. Diversity is what makes this country great, our schools vibrant, and the future of our country strong. Just recently, Cherrye began her blog series, ‘Dear Dr. Cherrye’ where she focuses on assisting parents and educators with difficult questions regarding both her platform topics. As an educator, mother, and author Cherrye believes that adults and educators must, as role models, develop an atmosphere of respect for children to thrive in. 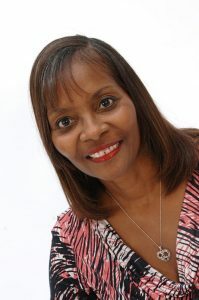 Her books provide examples of how to reduce bullying by encouraging diversity. Check out Cherrye’s website for additional resources on bullying and diversity. A list of her published works and contact information can also be found on her website. Cherrye is a retired public-school administrator and an adjunct professor who has earned a Doctor of Philosophy in Curriculum & Instruction; a Master of Education in Special Education; and a Bachelor of Arts in Speech Pathology/Audiology. Cherrye’s areas specializations are in Multi-cultural education, Early Childhood Handicapped, Mid-Management and Educational Diagnostician. Thank you very much for featuring my post this week, Michele. October is Bullying Awareness month, and I’m really passionate about getting the message out that bullying must end. Bullying hurts, and many times leaves deep scares.